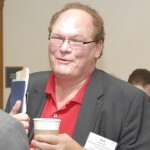 Professor Gary A. Munneke died November 22, 2012. The College of Law Practice Management lost a good friend on Thanksgiving morning when long-time Fellow Professor Gary A. Munneke passed away suddenly at his home in North East, Maryland. Gary was a leader in the American Bar Association and the New York State Bar Association. He is survived by his wife, Sharon Walla, and his family. His obituary can be found at http://rtfoard.tributes.com/show/Gary-A.-Munneke–94777338. Gary was nationally known for his work in the filed of law parctice maagement and the ever-changing state of the legal profession. Having started his legal career in career planning and placement, Gary was a lifetime devotee to preparing and developing future generations of lawyers. Among his many courses, Gary taught Professional Responsibility and Law Practice Management. Outside of the law school community, Gary was an affable and itinerant leader in the ABA and the New York State Bar Association having most recently chaired a sub-committee of the latter’s Task Force on the Legal Professiona and co-authored its corresponding seminal report. Gary spent a large part of his career working in leadership positions with the ABA, including chairing the Law Practice Management Section and being elected to the Board of Governors. Most recently he served as liaison to the Board of Governors representing the Section Officers Council (SOC). Previously he served on the ABA Finance Committee of the Selection on Legal Education and Bar Admissions, the Law Practice Management Section Task Force on Evoloving Business Models for Lw Firms, and the Association’s Diversity Center Governing Board. Gary was inducted as a Fellow in the College of Law Practice Management in 1996. — Bill Gibson, President, College of Law Practice Management, 2010-2012.